Bernice Mary Jane (Niehaus) Fiedler was born on September 24, 1936 in Richmond, Minnesota. Her parents were the late Theodore and Clara (Austing) Niehaus. Bernice was baptized on September 27, 1936 in Richmond, Minnesota. She attended parochial school at St. Joseph’s in rural Dent and graduated from the Perham High School with the class of 1953. On November 6, 1954, Bernice was united in marriage to Anthony “Tony” Fiedler at St. Paul’s Cathedral Catholic Church in St. Paul, Minnesota. Their marriage was blessed with 4 children. Bernice and Tony made their home in Folden Township where they farmed for 60 years. After retiring Bernice was employed at the Henning Hatchery and Medallion Kitchen in Fergus Falls. Bernice was an excellent cook, she always had fresh bread made when the kids got home from school and loved a good sunfish fry for supper as family get togethers would always put a smile on her face. She enjoyed ice fishing, playing cards, puzzles and gardening. Tony passed away on June 16, 2016. 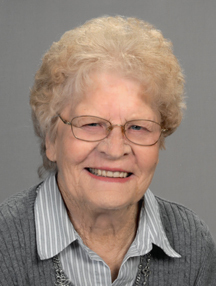 On April 7, 2019 Bernice passed away peacefully at her home at Willow Creek Assisted Living in Henning at 82 years of age. She will be dearly missed by her family and friends. Preceding Bernice in death were her parents; husband, Anthony; siblings: Laverne, Alcuinn, Lee, Ed, Jeanette, Irene, Lucille, Delores, Vernon and 2 infant siblings. Bernice is survived by her children: Mike (Barb) Fiedler; Linda (Troy) Dulski; Shirley (Bob) Kalina; Tony (Laura) Fiedler; 11 grandchildren: Heather Jerome, Heidi Reinbold, Nick Fiedler, Cory and Kevin Linden, Bobby, Abby and Amber Kalina, Jason, Justin and Jake Fiedler; 6 great-grandchildren; sister-in-law, Florence Ziemann; many other relatives and a host of friends.